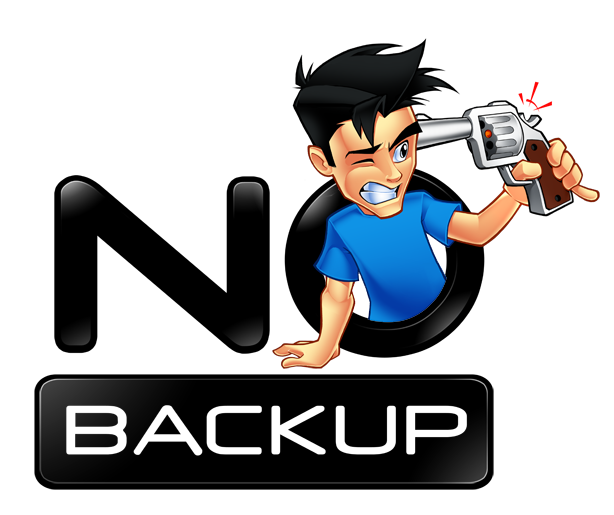 In terms of popularity, articles on backing up data, and articles on backup utilities on this site, definitely fall off the popularity scale. I’ve often wondered why this is, and the best that I can come up with is – it seems that many users consider backing up data complex, and time consuming. Anecdotally, I see evidence of this fear of the perceived complexity involved in backing up data, when speaking with non-techie friends and associates. Nevertheless, the best backup strategy includes Hard Drives imaging which allows users to restore critical data, the complete operating system, installed applications, user settings, etc. That’s the ideal – but, I have a confession to make. While I do use all of the classic backup techniques, between scheduled backups I use a simple copy command to mirror critical data to a non-system partition, or a USB drive. I’m a man of habit, and I realize this method is simply a carryover from the days of DOS, and the Xcopy command. But, it’s effective and it has saved me hours of reconstruction work, more than once. 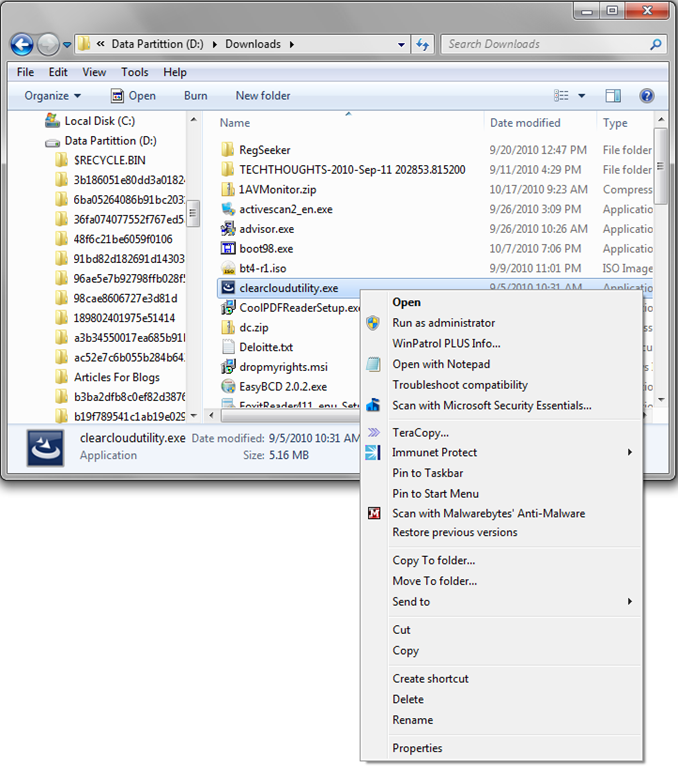 If you have the “Copy to folder” command in your Explorer right click context menu, then copying data to a specific folder on a non-system partition, or a USB drive, is a snap. But, as with all things “Windows”, there’s a slightly better way. 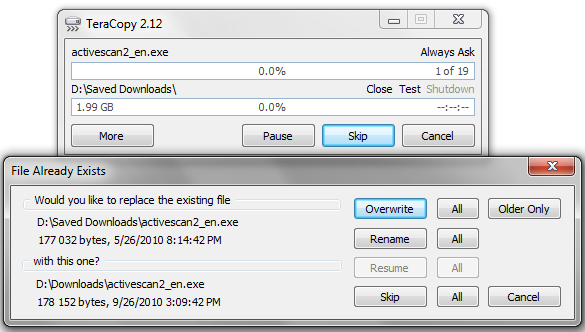 In this case, using TeraCopy – a small, free file copy utility which can pause and resume file transfers, and automatically overwrite or skip existing files. Better yet, TeraCopy can completely replace Explorer’s copy and move functions. Installation is easy, and preference setup is checkbox simple – as the following screen captures indicate. For this article, I ran a quick speed test which involved copying 19 files totaling just under 2 GB. TeraCopy completed the task in 44 seconds, which included testing for accuracy in file copying. On the other hand, it took Windows “Copy to folder” applet, 91 seconds to complete the same task – with no test to ensure accuracy. System requirements: Win 2000, XP, Vista, Win 7. Windows 7 x64 support. Note: Free for Home Users. Copying critical data is a very simple way to guard against data loss, and TeraCopy can help you do that quickly, accurately, and with more options and control, than the normal “Copy to folder” applet. It’s worth investigating. Wow! That’s quite a difference in speed. When you were testing, did you happen to copy across network? Most of my file transfer occurs from my laptop to desktop / vice versa or from hard drive to hard drive. The reason I ask is I had Tera copy on my XP desktop and it was noticiably faster than the windows copy function. When I upgraded to a Win7 machine, I noticed the copy function was much faster (especially across network) so I didn’t bother with Tera. So I might give it another try since your tests are showing nearly twice as fast copy speeds!! Interesting. I generally use this app to copy very large files as well ISOs, etc. G, will pleased with your comment. The more I play with this the more I really like it. I just set teracopy as my default copy operation on my main PC. This is especially helpful to me personally where I am piping large files across my wireless network. One thing I am noticing, that is most positive is; it does not appear to bog down the system like the Windows based copy operation does. I find the same thing – especially with large files. I’m noticing that it’s power users who really see the advantages in this app. Interesting! Rick’s comment actually answers your question better than I can. Terra Copy has been a staple since I first used Vista, which truly had copy speed issues, especially pre SP1. As always, it’s great to get your experience with an app. Just tried this out, big difference in speed, into that old toolbox it goes. Is it possible to abort the copy and then to resume later. Yes, it’s possible to “Pause copy process at any time to free up system resources and continue with a single click.” A very cool feature.